After being announced at the UK-Tech-Metal-Fest 2018 on March 1, UNPROCESSED have signed to Long Branch Records on March 2. Together with this comes a teaser for the first single "HAVEN", which is coming out March 3. More details for a new album will also be unearthed on March 3. 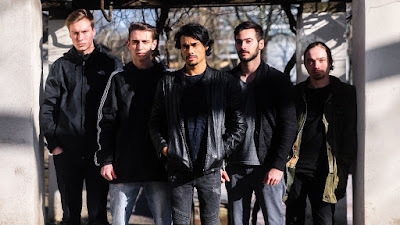 Being as an Ocean, Napoleon or As they Burn, went on a first EU tour and played numerous shows in and around Germany, promoting the first releases "IN CONCRETION" (2014) and "PERCEPTION" (2016). Unprocessed sound features insanely fast palm muted, chugged guitar-riffs and shredding solos that meet soundscapes from another dimension, guttural vocals that are contrasted by lucid and melodic clean singing. A sharp bass tone and groovy, yet detail-oriented drum-lines form a massive rhythm section and add a lot of pressure to the bands overall sound. This mixture shows that this young band is ready to conquer the scene.